I don’t think salads come much more nutrient packed than this. Kale and brussels sprouts are both high in fibre and iron and full of antioxidants. Brussels sprouts get a bad reputation and I think most of us associate them with being made to eat them as a kid, or only eating them at Christmas, but I for one am a big fan of them. I didn’t always love them, I was also made to eat them as a kid and thought they tasted like swamp. Hard balls of swap that gave you undesirables side effects. But when I started losing weight and was working out how I could still eat a large volume of food without having a lot of calories, sprouts became my friend. My favourite way to eat them is roasting them in garlic and balsamic vinegar – hello delicious caramelised little superfood, but there may be a new favourite in town. I am trying to eat more raw food at the moment, which is where this recipe came from. I have been loving raw kale in my salads for the last couple of years, but I wanted to add more greens to them that weren’t the usual lettuce or spinach and I turned to my beloved sprouts. I hadn’t eaten then raw before and I wasn’t sure if I would like it, but I loved it. It was one of those meals where you look down at your plate and you are sad that you only have a couple of bites left. I really need to up my veggie intake at the moment. 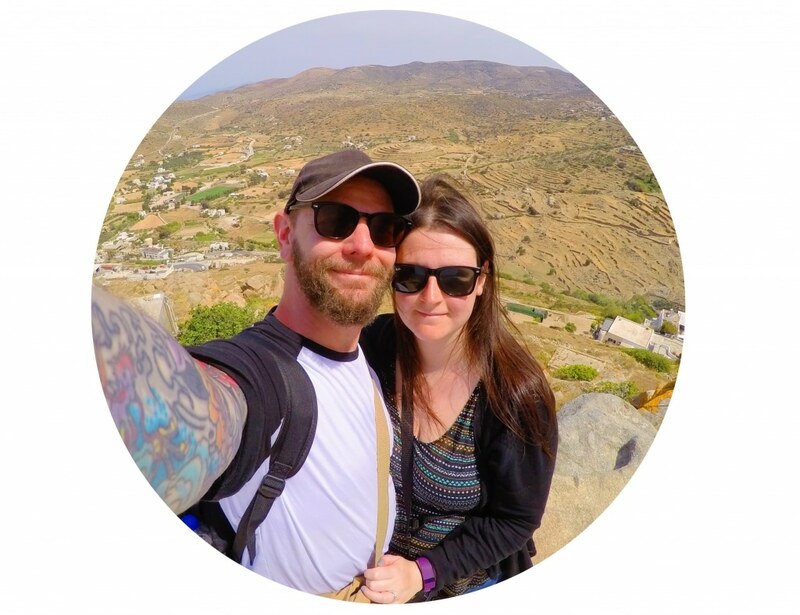 I ate a lot of fruit when we were in Thailand, but apart from the odd chunk of aubergine in a Thai curry, there was not much going on in the vegetable front. This big bowl of greens has to cancel out the 2 weeks of Thai eating, right?! After fully embracing fruit in salad, I have decided that pomegranate is my favourite way to add fruit to salads. I like the little bursts of flavour you get every time you find a seed. Oh, and feel free to add some feta to this. But I didn’t need to tell you that, did I? 1) Shred the kale and the brussels sprouts using the shredding attachment on a food processor, or chop thinly. 2) Add to a large bowl with the rest of the ingredients and mix well. 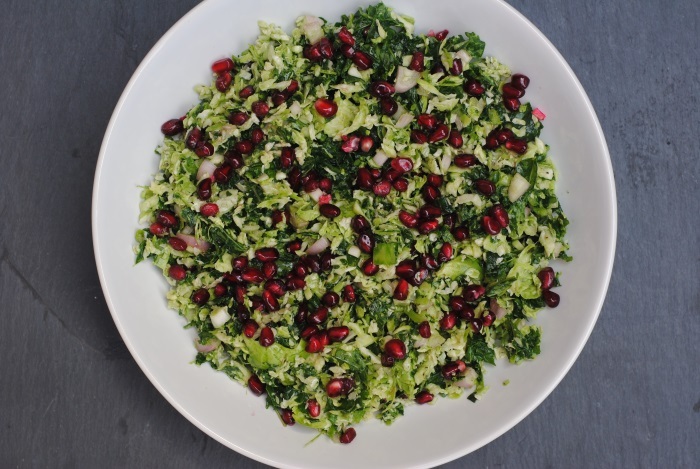 Looking for more tasty brussels sprouts recipes? 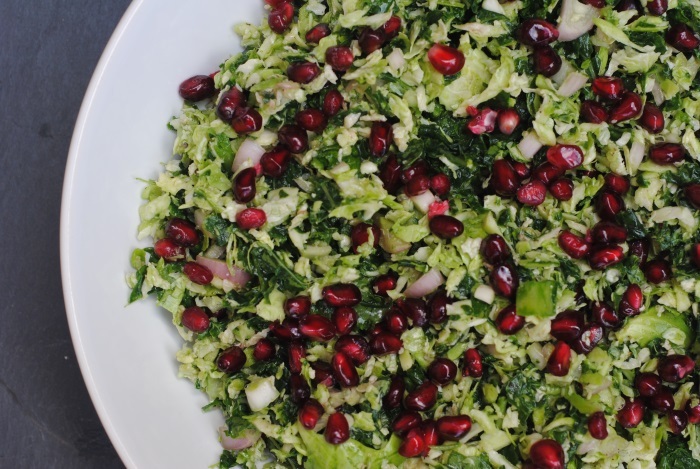 I’m the only one in my family that likes Brussels sprouts but this recipe might convert my pomegranate mad son! 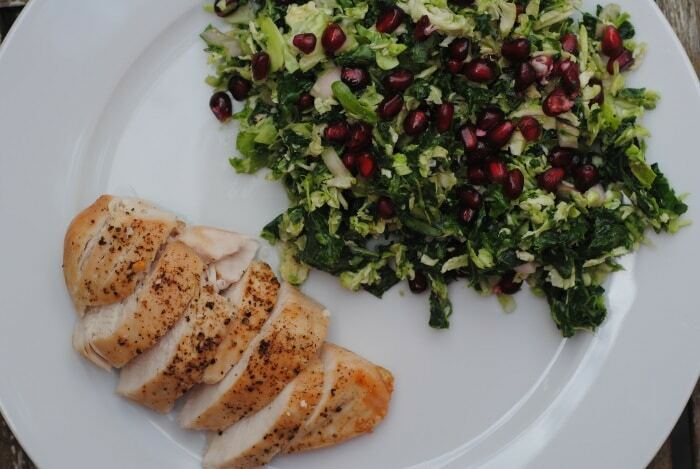 This salad looks like it is full of nutrients with the broccoli and kale combo! Love the addition of the pomegranate. The pomegranate just gives it something extra special. 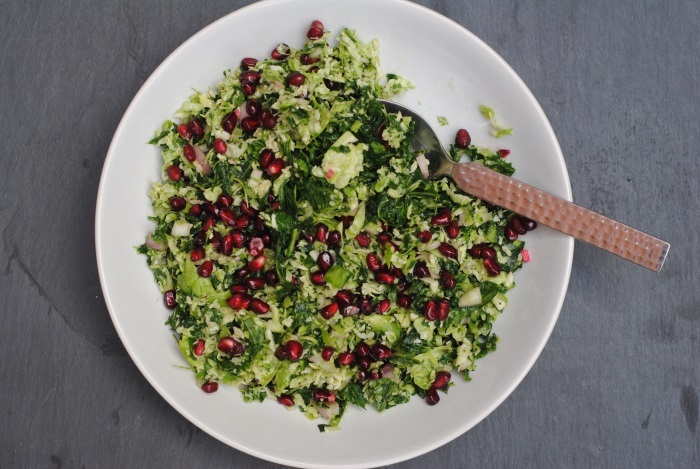 I love pomegranate in any salad and this colourful one sounds super delish. I’m really surprised that you weren’t given more in the way of veg to eat while on holiday. I’ve never been to Thailand but I guess I imagined there would be loads to choose from and eat. Anyway, this helps make up for the lack of fibre recently! I thought there would be too. There were a good amount of vegetarian options, but the meat dishes were lacking in veggies a bit. Brussel sprouts is actually one of the only veggies that I don’t like haha not a fan!